Power source: Thumb flipper & ultra-smooth KVT ball-bearing opening system. When I think of an everyday carry knife I think of Kershaw. 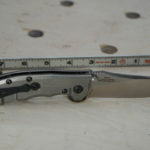 More specifically I think of the Zero Tolerance line of knives with titanium handles, stainless steel, and ball-bearing assisted opening blades. I’ll fess up, I own several!! 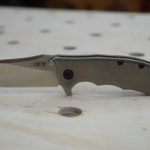 Rick Hinderer is a knife designer / maker who known for his meticulous attention to knife designs. 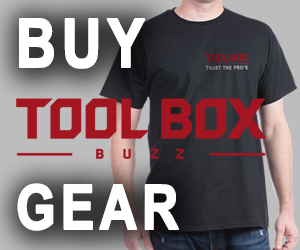 He is an experienced Fire Fighter / EMT and rescue diver and his philosophy is deeply rooted in his experience with using his knives as a first responder. 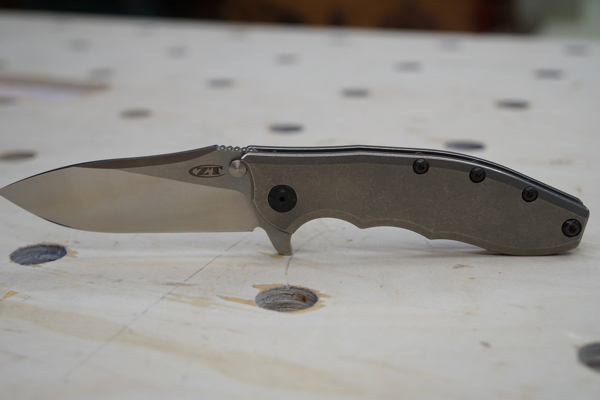 Currently Rick designs more hard use, tactical knives, rather than, works of art. 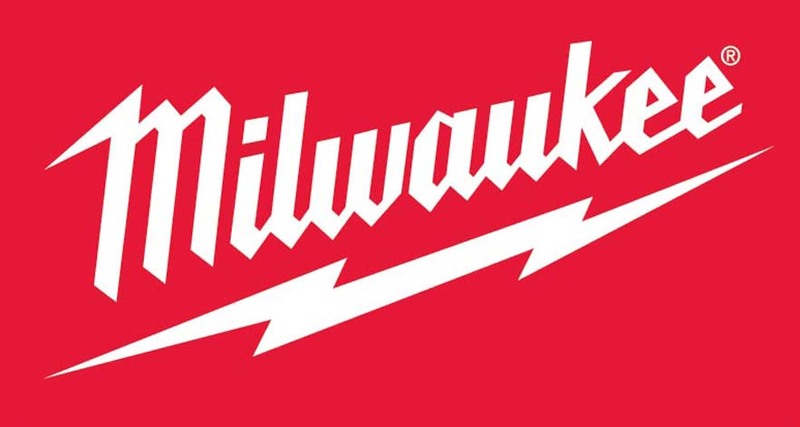 Rick began changing over from old world knife making techniques to modern CNC precision manufacturing. 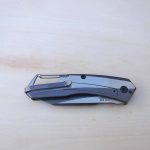 The end-result is a tactical, folding, hard use knife that are not only good-looking, but extremely comfortable in the hand. 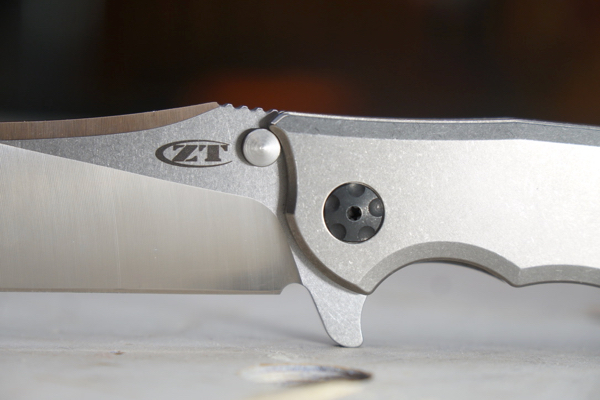 The ZT Hinderer 0562TI model has a titanium handle provides a sturdy frame that rides comfortably in the pocket. It’s not a small knife, and is clearly designed to get work done. 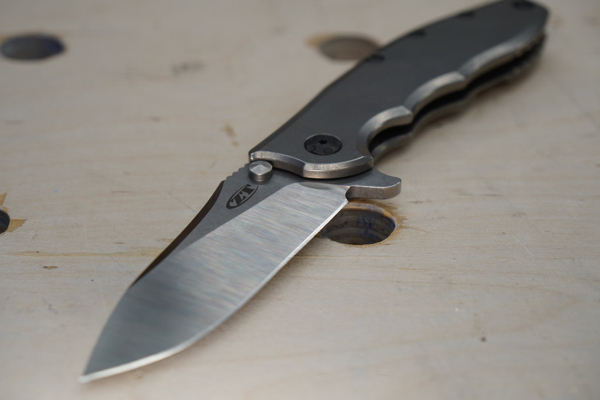 The ZT Hinderer 0562TI model is outfitted with a titanium handle and a satin finished CPM-20CV steel blade. CPM 20CV is a stainless steel with a high volume of vanadium carbides for exceptionally good wear resistance. 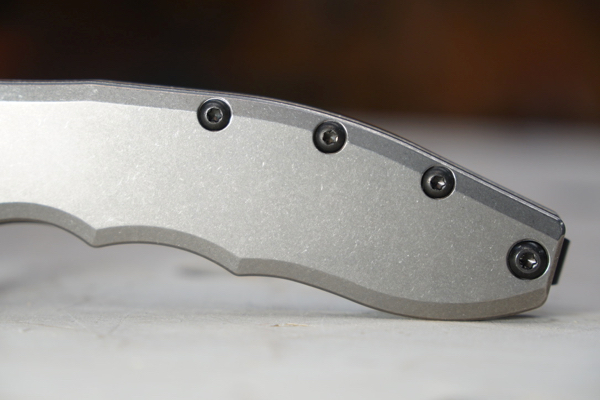 ZT featured Rick Hinderer’s special “slicer” grind, but on a premium stainless steel blade. 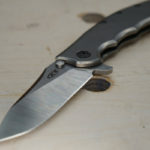 The ZT Hinderer 0562TI model opens with a flipper and the ultra-smooth KVT ball-bearing opening system. 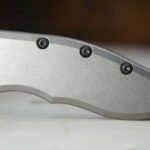 This is probably my single-most favorite feature on Kershaw and ZT knives. 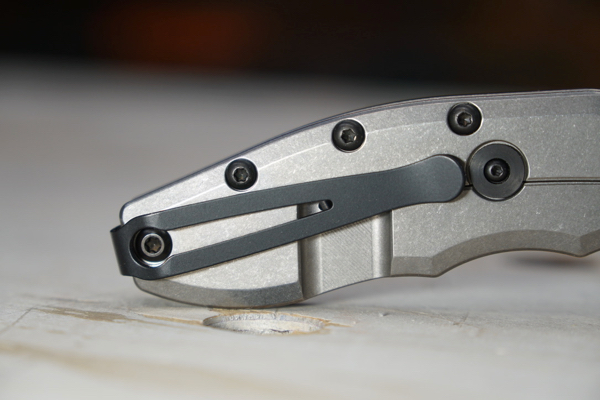 KVT’s “caged” ball bearings surround the pivot and make opening the knife nearly frictionless; just pull back on the flipper and add a roll of the wrist and the 0562TI is ready to go to work. You need to see how smooth this knife opens to believe it. 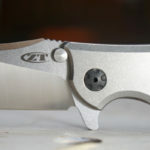 To ensure the blade is secure there is a titanium frame lock with hardened steel lock bar insert, and a lock bar stabilizer. 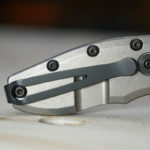 The pocket clip is reversible and enables extra-deep carry. It attaches to the inside of the handle rather than the outside, is reversible (left/right) and enables extra-deep carry in the pocket. ZT uses matte black hardware to accent the steel-and-titanium look, this contrast makes the 0562TI exceptionally handsome. 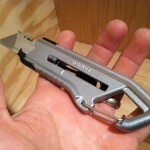 This is a fantastic knife with a razor sharp edge that stayed sharp until I cut some wire cable. 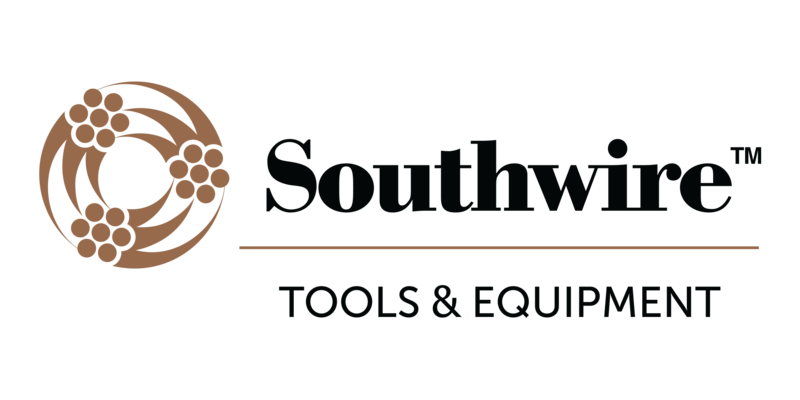 The ball bearing roller system is incredibly smooth, and the blade lock engages solidly and disengages easily. For a large knife, it’s actually pretty easy to carry and that’s due to the light weight. [ 5.3 oz.] It has an excellent size to weight ratio. 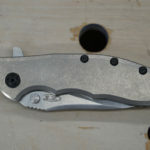 The low carry pocket clip makes this knife almost disappear in my jeans pocket. 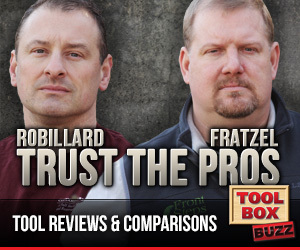 In my opinion there is no room for improvement. 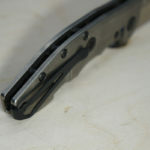 Although some “defensive minded,” knife carriers may not like the smooth handle, it didn’t bother me at all. Personally I’d live to see a glass breaker on this knife. 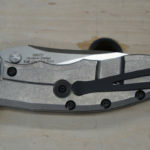 The ZT Hinderer 0562TI knife is not cheap. You’ll find it online for approximately $280.00. This could be the only knife you’ll ever need, it’s that good. This is a great all around EDC knife, but we know how much a tool costs is critical to determine value versus performance and features. 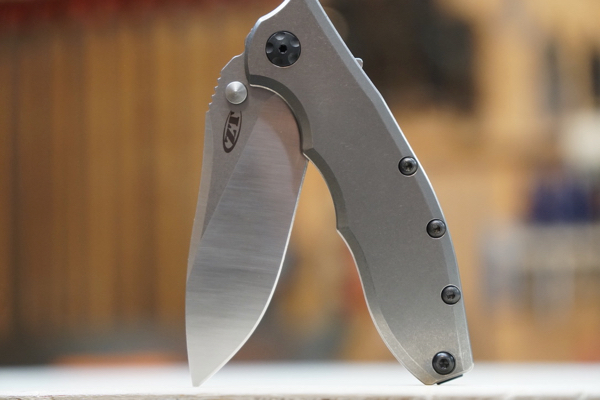 Don’t let its simple appearance fool you, this knife has utility written all over it. 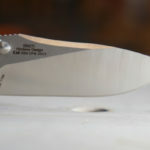 From the blade design, to the handle construction, this knife is excellent. 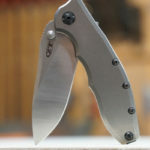 My overall impression is this is a high quality, no nonsense knife that functions well in many situations and is handsome enough for an everyday carry for almost every occasion.